The big highlight: nightly harbour tour and subsequent visit to the Miniatur Wunderland - Wonderful, nightly habour tour (with explanations in German) - Subsequent visit to the Miniatur Wunderland including a lecture about the history of the Miniatur Wunderland (only in German) - Exclusively for you: a glimpse behind the scenes of Amerinca and our construction site Italy. 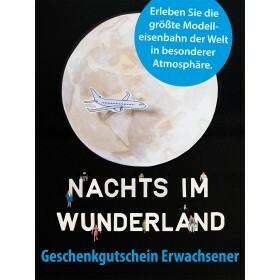 Let yourself be enchanted by the magic atmosphere of the warehouse district Hamburg at night and your visit to the Miniatur Wunderland! Hamburg harbour and warehouse district show themselves at their best during the quiet hours of the evening. 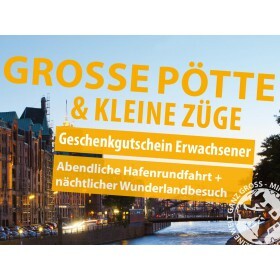 We introduce you to this highlight of Hamburg-city in an approximately 1-hour boat tour through the harbour, and round up the evening by taking you - without any waiting time - to the Miniatur Wunderland. 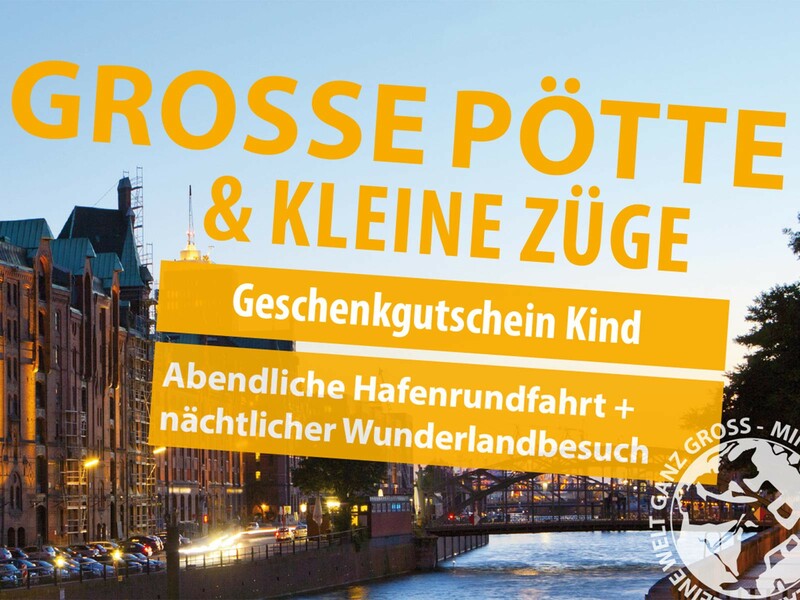 Once you arrived at the wonderland, you can refresh yourself and gather your strength with one of our delicious dishes, or enjoy our down-to-earth boats-and-trains special offer: Currywurst (classical curried sausage) with fries and a drink for only 5 Euro! Get insight into the history of the Miniatur Wunderland through our 20-minutes presentation, take a fascinating look behind the scenes of the America section and our future Italy, which is currently still under construction! This special offer is not available on every day! Attention: All special events have limited tickets. You must make a reservation for a certain date timely with your certificate.